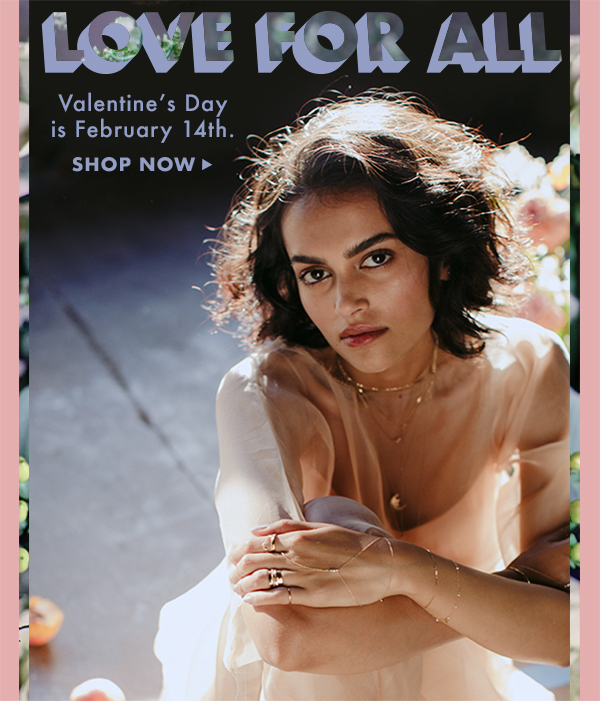 The Valentine's Day shop is now open! Valentine's Day gift inspiration needs to come from your heart. On Valentine's Day, more than any other day of the year, what you give to your partner should be nothing short of perfect. Let Catbird help you make Valentine's Day 2018 the best one yet with these top gifts for her. A jewelry essential: the sparkliest tiny diamond studs. Sold as singles, to mix-and-match, and scatter in your piercings like stars. Made with recycled white diamonds. Our classic Thorn Necklace is back. Cast from a rose thorn in solid 14k gold. Beautiful and fierce. Perhaps the perfect earring: a rose, with a constellation of diamonds for a stem. Our classic, tiny heart studs manage to be sweet, but not too sweet. Especially stunning in the warmth of solid 14k rose gold. Our best-selling classic heart ring works its sweet magic for any look, whether you're running errands or having a night out on the town! A graceful necklace, with a strong and sentimental message: we are better together. A sensual, floral aroma imbues this mineral-rich salt to ease the mind, soothe the body, and restore the spirit. Notes of rose, vanilla, patchouli, and vetiver encourage deep relaxation, while nature’s purest salt crystals replenish vital elements and nutrients to the body, remove toxins, and aid in the relief of muscles, nerves, and joints. And the heavy, glass bottle will look amazing in your bathroom! The necklace we never knew we needed: a rose, with a constellation of diamonds for a stem.